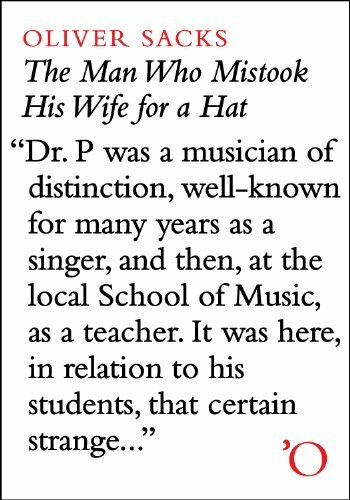 THE MAN WHO MISTOOK HIS WIFE FOR A HAT brings together twenty-four of Oliver Sacks’ most fascinating and beloved case studies. The patients in these pages are confronted with almost inconceivably strange neurological disorders; in Sacks’ telling, their stories are a profound testament to the adaptability of the human brain and the resilience of the human spirit. Dr. Sacks treats each of his subjects—the amnesic fifty-year-old man who believes himself to be a young sailor in the Navy, the “disembodied” woman whose limbs have become alien to her, and of course the famous man who mistook his wife for a hat—with a deep respect for the unique individual living beneath the disorder. These tales inspire awe and empathy, allowing the reader to enter the uncanny worlds of those with autism, Alzheimer's, Tourette's syndrome, and other unfathomable neurological conditions. “One of the great clinical writers of the 20th century” (The New York Times), Dr. Sacks brings to vivid life some of the most fundamental questions about identity and the human mind. TheRaven42 (Grade: B) It's a bit dated, but a very interesting collection of stories. It was a bit more philosophical than I expected, with lots of questions about things like the soul. Tarienna (Grade: D) Probably a great book for beginners to cognitive disorders, but as a psych student I found it subpar. Too much discussion about what these conditions mean on a philosophical level, not enough discussion of the actual psychology (particularly from a physiological perspective, though I understand the limitations of the time). Could badly use an update, particularly since neuropsych has improved immensely since publication and many more similar cases have been studied. Trekkie1999 (Grade: A+) Very eye opening! Read it!